عندما تزور هذه المدينة رائعة الجمال، ستشعر أنك في بيتك في Martinborough Mews الذي يقدم لك إقامة متميزة و خدمات عظيمة. يمكن من هنا للضيوف الاستمتاع بسهولة الوصول إلى كل ما تقدمه هذه المدينة النابضة بالحياة. كما يمكن الوصول بسهولة إلى عدة معالم سياحية قريبة. إن الخدمات الممتازة وحسن الضيافة العالي في Martinborough Mews تجعل إقامتك تجربة لا تنسى. يمكن للنزلاء الاستمتاع بالميزات التالية: واي فاي مجاني في جميع الغرف, مجهز لذوي الإحتياجات الخاصة, مرافق مخصصة لذوي الاحتياجات الخاصة, تسجيل وصول/خروج سريع, واي فاي في المناطق العامة أثناء إقامتهم في هذا المكان الرائع. تعكس غرف الفندق البالغ عددها 5 المنتشرة في طوابق جواً من الدفء والألفة.خدمات عصرية مثل تلفزيون بشاشة مسطحة, سجاد, قهوة فورية مجانية, شاي مجاني, بياضات موجودة في بعض الغرف المختارة. كما أن مجموعة الخدمات الواسعة الموجودة في الفندق لضمان راحتك تترك لك الكثير من الخيارات لقضاء وقتك أثناء فترة إقامتك. مهما كانت أسبابك لزيارة المدينة، فإن Martinborough Mews هو الخيار الأفضل لإقامة مثيرة وممتعة. Great units handy to shops and restaurants . Definitely recommend . The owner is very friendly, and gives a lot of information on what to see in the area. The accommodation is a self contained building. There is plenty of space in the living area, with your own personal veranda. There is a continental breakfast suppled which is more than adequate. Overall a very nice stay. 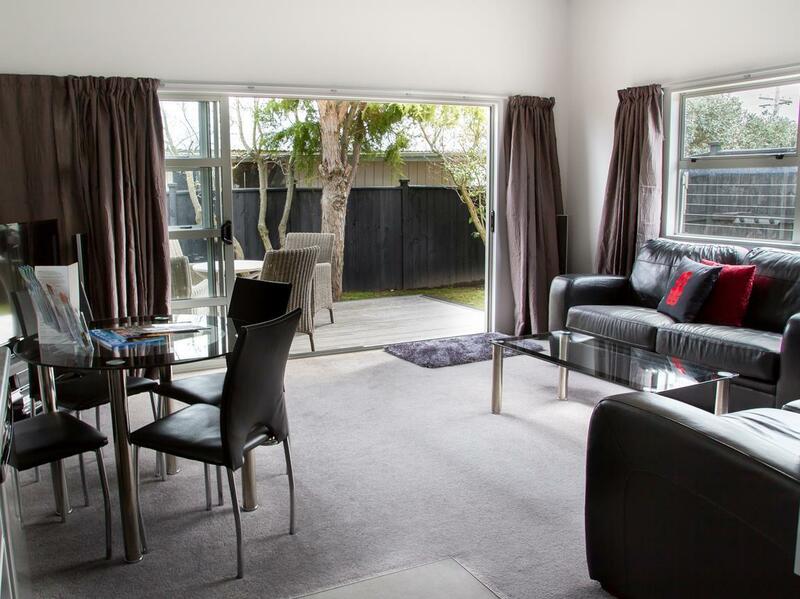 When we arrived at Martinborough Mews, Robyn had already emailed to let us know where the key would be and that she'd drop by to make sure all was well. We were delighted when we entered the spacious, attractively decorated apartment and were happy that there was a private deck with table and chairs and a barbecue grill and a jacuzzi as well. For hot weather, she provided a fan. It seemed like she thought of everything we might need. When she came by, she was eager to help us get reservations at restaurants and she gave good advice on bike rentals and where to stop for lunch on our vineyard tour. We would gladly return to the Mews and would be happy if every host were as helpful as Robyn! Everything you could want is provided. And Robyn was most helpful. 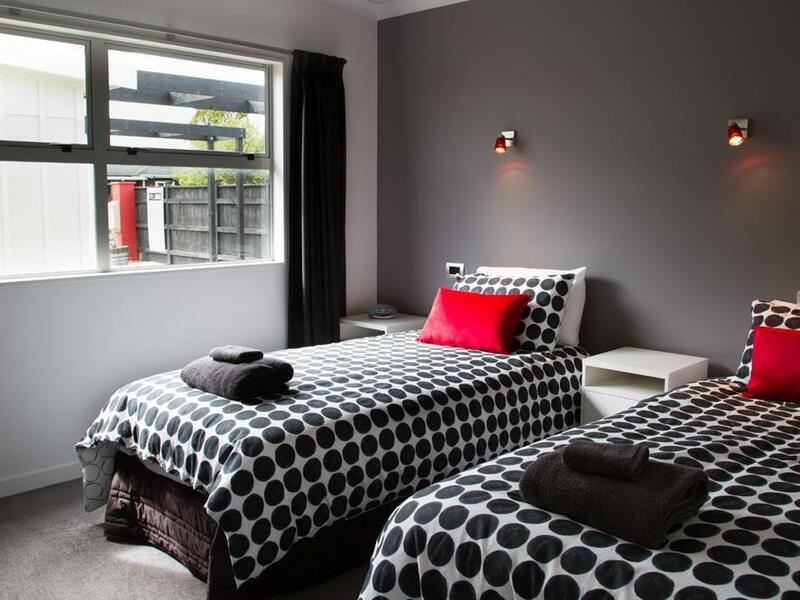 We absolutely loved Martinborough Mews. 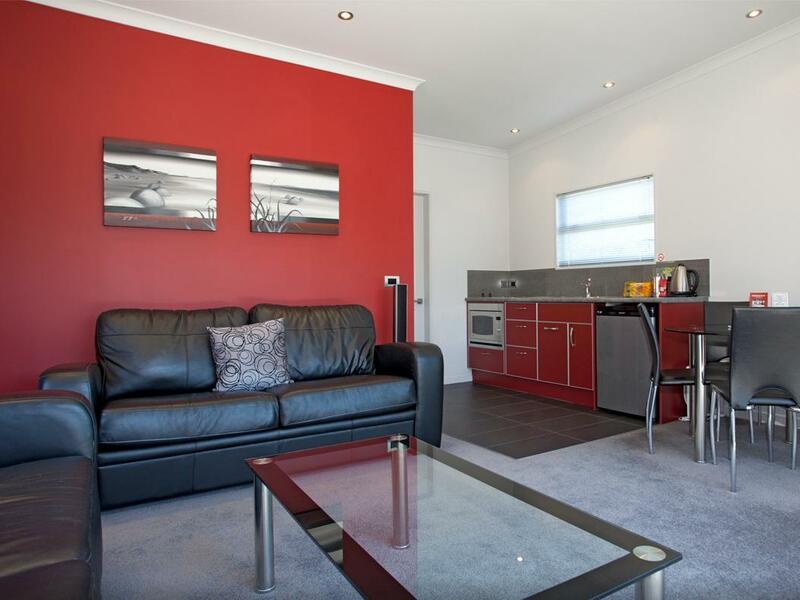 The units were modern, spacious, comfortable and tastefully appointed. Robyn was brilliant and nothing was too much trouble. Excellent value for money and perfectly located. We will be back! Robyn was lovely and we loved the location. The polish for would have been cleanliness....the leather couch had marks that could have easily been wiped down and the bathroom walls cleaned. A very modern and spacious cottage - we were just needing a bed for the night, but would be a wonderful place to spend the weekend. Definitely recommend. The weather was marginal and the challenges (road closure) we had in travelling to Martinborough were certainly forgotten once we arrived at our destination. Our stay was great, will definitely come back and stay at this place, 1 night wasn't enough, would definitely recommend this accommodation to friends and family. Thank you. Great stay. Loved the clean modern self contained set up. Great for girls weekend for bicycle wine tour. Warm, private and secure. Would definitely stay again. Wunderschönes Cottage im kleinen, aber feinen Weinanbaugebiet. Die Ausstattung ist perfekt; es bleiben keine Wünsche offen. Sehr gemütlich eingerichtet. Die Betreuung durch die Gastgeber war sehr freundlich, immer mit guten Tipps für Unternehmungen. Wir haben uns sehr wohlgefühlt. Sehr zu empfehlen.